Tradewinds customizes apparel for businesses, schools, organizations and individuals. Through our core values and craftsmanship everything we do begins and ends with a commitment to customer service and satisfaction. Our goal is to create quality products at competitive prices. Tradewinds has been fortunate to collect a team of talented individuals. Each person understands that they contribute to the overall success of the company and are dedicated to maintaining our high standards. New employees soon learn that the normal 'good enough' is not Tradewinds 'good enough'. 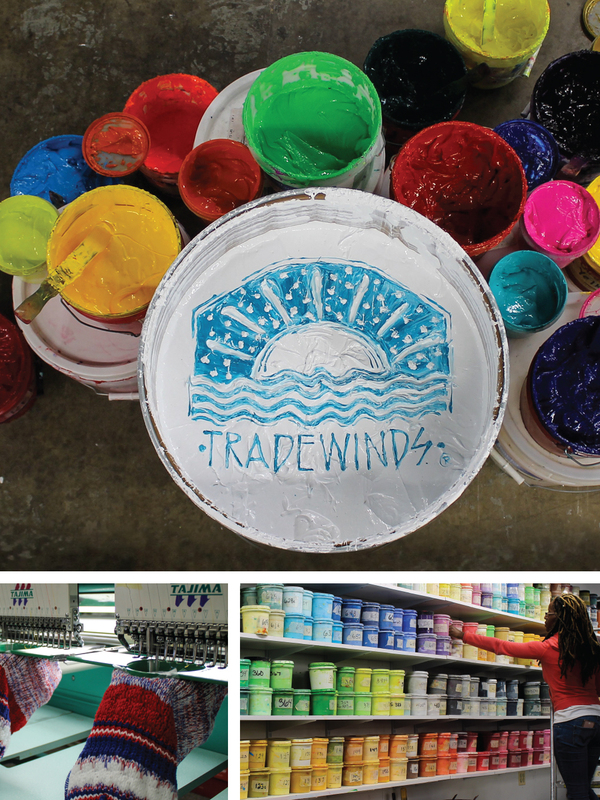 The collective efforts of the team have earned Tradewinds the "Best of Baltimore" Award for Screen Printing and Embroidery for nine consecutive years (2010 - 2018)! The team even has two canine members. Lizzy and Cooper welcome attention any time of day. We are a Registered Member of the State of Maryland's Small Business Reserve Program (SB10-432) and are certified by the City of Baltimore as a Women's Business Enterprise. We pride ourselves in maintaining customers and gaining growth through customer referrals. We hope you give us the opportunity to work with you. Please Contact Us for a price quote for your next screen print or embroidery project! Copyright © 2017 Tradewinds Studio Inc.